If Du was in this movie what group would Du join?. Welcome to Waterworld, one of the 90's most expensive budgeted Filme of all time. And also welcome visitor to this Artikel for this his movie Waterworld. And here is my review of this movie, and the reasoning of why I Liebe this movie and here we go. a poll Wurde hinzugefügt: If Du was in this movie what group would Du join?. 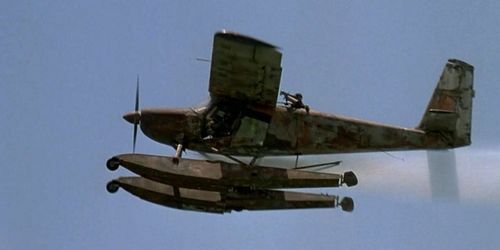 What type of aircraft is this, that was used during the making of Waterworld?.